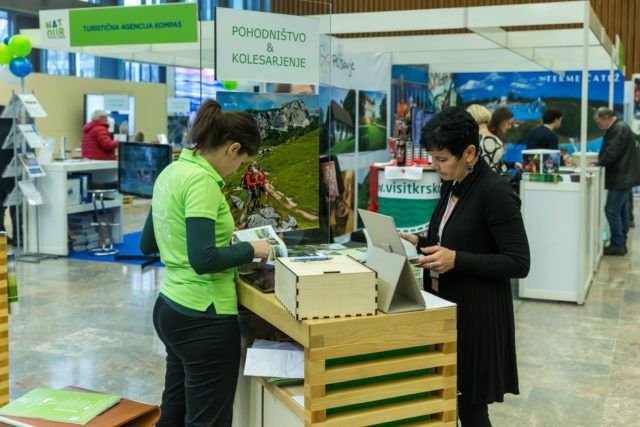 From the 31st of January to the 3rd of February, the Natour Alpe-Adria, the main tourist fair in Slovenia which promotes green, active tourism, will take place at the GR – Ljubljana Exhibition and Convention Centre. Slovenia is the only country in the world where green nature connects and unites the Alpine, Karst, Mediterranean and Panonic worlds. The diversity of the landscape and unspoilt nature, together with its geostrategic position, represent the country’s main assets which have long been attracting congress organisers. Slovenian wonderfully unspoilt nature is highly valued by its residents and congress guests. The country’s incredible gifts of nature are the main conditions for the development of green and responsible congress tourism. Therefore, staging a congress in Slovenia means the event is held in a healthy environment where people live closely tied with nature. The bounty of green areas, and the good quality and abundance of clean water, allows congress guests access to diverse and active experiences in connection with the country’s extremely rich cultual heritage. Incentive programmes and team-buildings these days go hand in hand with the green approaches to life. GR – Ljubljana Exhibition and Convention Centre is well aware of above stated facts and it, thus, annually organises, executes and hosts the 29th Natour Alpe-Adria, the main Slovenian tourist fair promoting green and active tourism. The international fair, the event with the twentyeight-year tradition, enables exhibitors business meetings with travel organizers, tourist agencies, potential investors, representatives of interest groups, etc. Active vacation in nature will be presented by many Slovenian organizations, such as the Slovenian Tourist Board and the Tourist Association of Slovenia with over 150 local communities and associations, the Fishing Association of Slovenia, the Mountain Association of Slovenia, GIZ Hiking and Biking, the Slovenian Forest Service, and the Association of Slovenian Tourist Farmers, some foreign destinations will join as well. The GR – Ljubljana Exhibition and Convention Centre is a leading convention venue in Slovenia. It is situated in the city centre. With its more than half-a-century tradition, it is an ideal venue for busy fairs, remarkable conventions and other entertaining, cultural and educative events. In recent years it has become an excellent place for contemporary interactive and educational worldwide exhibitions, such as Da Vinci – The Genius (2013), Brain: The Inside Story (2014) and 1001 Invention (2015).